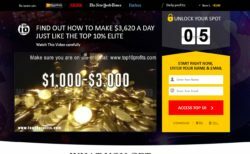 In our review of Top 10 Profits we prove that this program is a scam. It is presented by Barry Riva. 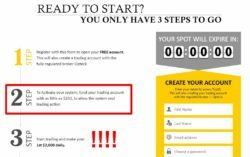 Barry claims that together with his friend analyst from Google they created a binary options trading software that can make you more than $3,000 per day. And to make the software more accurate, he needs more users. This is why he will give you Top 10 Profits for free, so that you can become rich for free. Really? The reality is that Top 10 Profit is a scam. First of all let’s have a look at Barry the Bull. This guy is just a scam artist who shows stock photos. Look at the picture on the right to see where his photos come from. Barry is obviously not a trader, he is a liar who hides his real identity. In the Top10Profits video you can see testimonials, people are endorsing this system saying that they make money with this system. But all these reviews are fake, they were made with paid actors. You will find a proof on the picture, this woman sells fake testimonials for five dollars, anybody can hire her. The same applies to the top of the Top10Profit web page, where it says As seen on Bloomberg, BBC, The New York Times and Forbes. These media have never published a single word about this trading system, you can check it on their websites. You see, Top 10 Profits is not free. You will have to deposit at least $250 with a broker that you won’t be allowed to choose, otherwise the software won’t be activated. The reason for this is that scammers behind Top 10 Profits are getting paid by this broker for referring new depositors. This is the real purpose of this program. And if you deposit and let the software trade with your money, you will lose it. That’s how it ends. 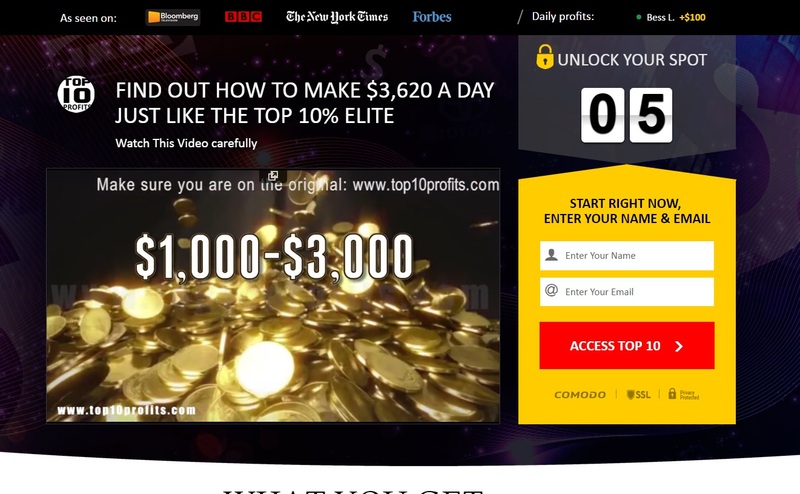 Top 10 Profits is a scam that abuses binary options to make you lose money. Stay away from it! 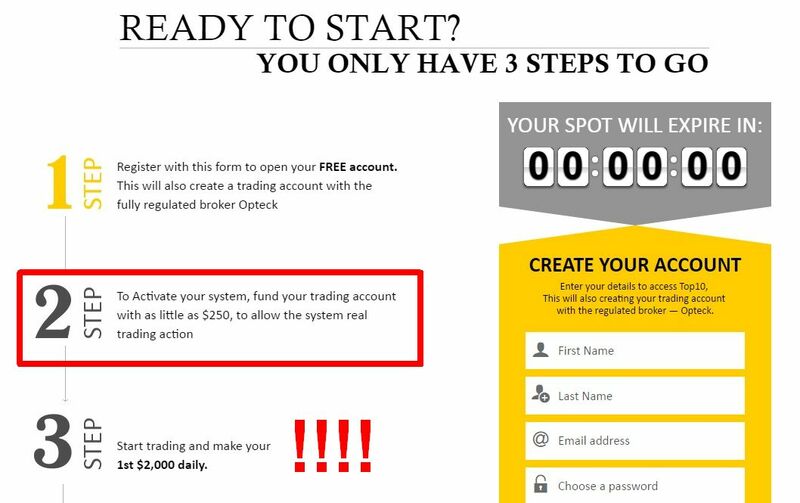 If you want to make money with binary options, you first have to learn to trade profitably on a demo account. Nobody will do that for you. Only when you know how to trade profitably, you can start trading with real money.